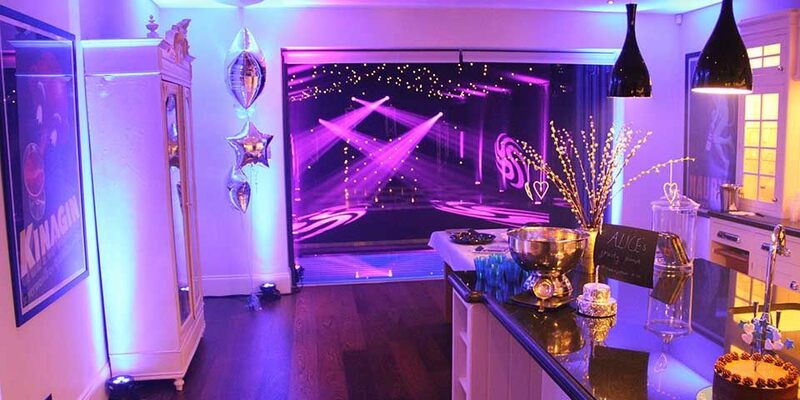 Our client contacted us to help create a marquee house extension to extend their stunning kitchen into a nightclub room for their daughters birthday party at their modern terraced house in Fulham. This was a complex project as space in their garden was limited, they also had artificial grass and also a full-width glass floor, illuminated blue, looking down into their converted basement room (see if you can spot it!) and to top it off, this party was in December! As expert marquee party planners, we are no stranger to complex marquee builds. Our idea was to attach a 9m x 6m blacked out marquee past their bifold doors. Our idea was to create a visually stunning marquee house extension that incorporated their stunning glass floor. We created a large enough dance area that our client and her party guests could celebrate her birthday in style, in December (complete with heating). Attaching the marquee to the house was the first hurdle, the flooring situation meant we were unable to use standard fixings, so we secured the marquee structure with weights. The fully waterproof marquee extension attached to the house perfectly. 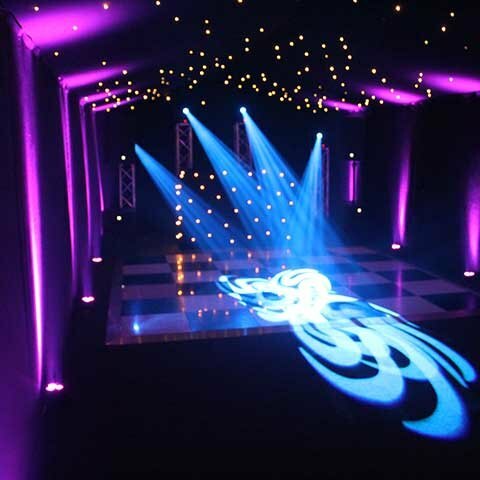 Our DJ setup and lighting rig really brought the space to life!